"Because there's only One Life!" 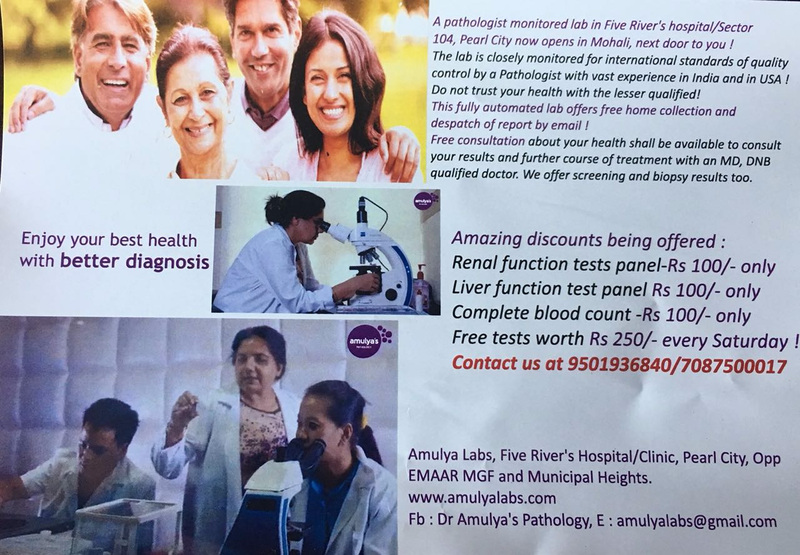 Amulya`s Pathology Lab is a pathologist monitored leading medical laboratory center in Mohali (Chandigarh), making use of the advanced technology to give you clear insights and data about your health. Our pathology lab is fully automated and computerized, so we are able to maintain the high standards of quality health care. 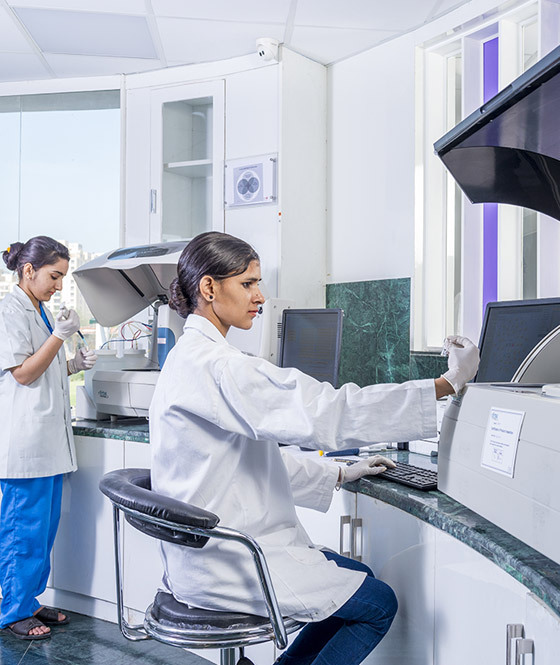 The lab follows strict internal quality control protocols based on College of American Pathologists standards; besides participating in external quality control with AIIMS, New Delhi and CMC, Vellore in India. Both screening as well as diagnostic medical tests in all fields of a medical laboratory medicine (biochemistry, microbiology, clinical pathology) including histopathology are carried out. 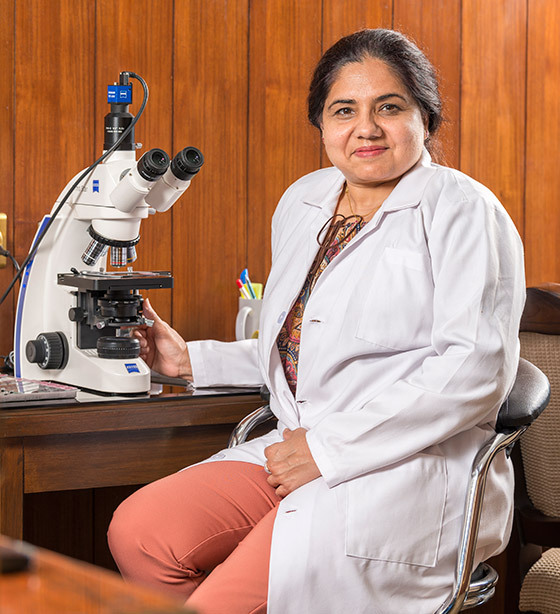 Dr Amulyajit Kaur, lab director and founder of the lab is an MD in Pathology from AFMC, Pune, India with further super specialised training at PGIMER Chandigarh and in USA. She ensures that every patient is treated with respect, dignity and proper care. To be recognised for excellence in histopathology and clinical laboratory diagnosis based on a strong foundation of knowledge, skill and state of the art facilities. Our mission to provide caring, professional and efficient service to patients so that they can feel comfortable and serve with total commitment to today’s exacting histopathology and clinical laboratory standards. Interested in hearing from our pathologist? 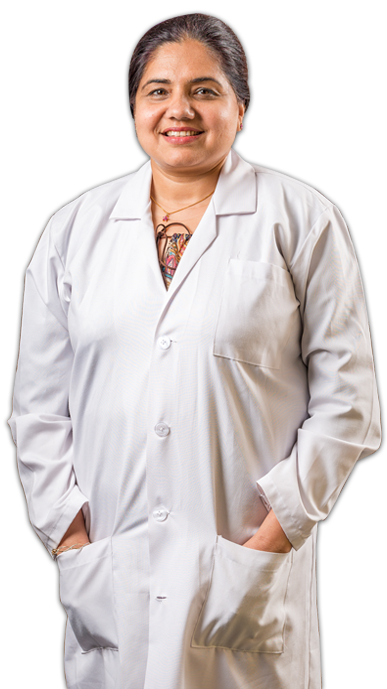 Book an appointment today with Dr. Amulyajit Kaur for cancer diagnosis. exacting histopathology and clinical laboratory standards. We have a strong foundation of knowledge, skill and state-of-the-art facilities and are recognized for excellence in Histopathology and Clinical Laboratory diagnosis.